Legal advice and consulting in family, patrimonial and business related topics. 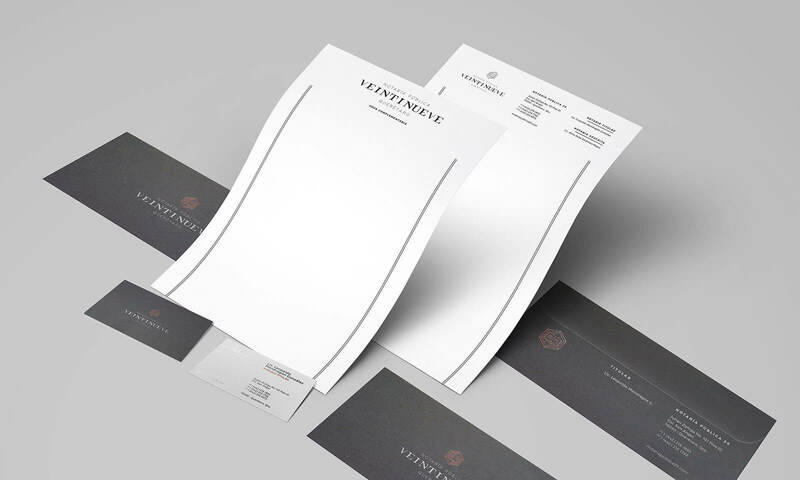 To create a distinctive brand with a classic but modern style that suggests seriousness and prestige. For the logo, we proposed a custom-made Serif typeface and a detailed stamp. To achieve the classic but modern style that the client was looking for, we stuck to simple color palette in which Oxford gray excels. As for the stationery, Hot Stamping with copper finishes was proposed.